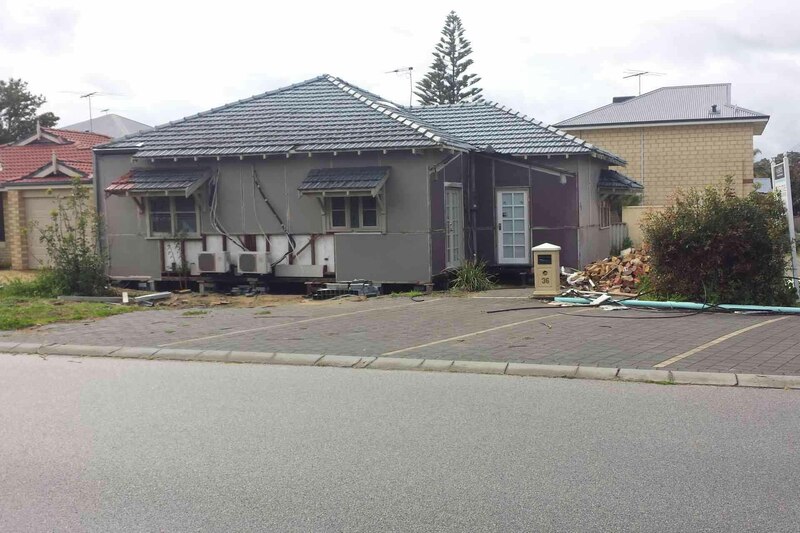 With our innovative House-Lifting technology, you can save massive money ! Why demolish? when you can Lift it, shift it, and build under it. 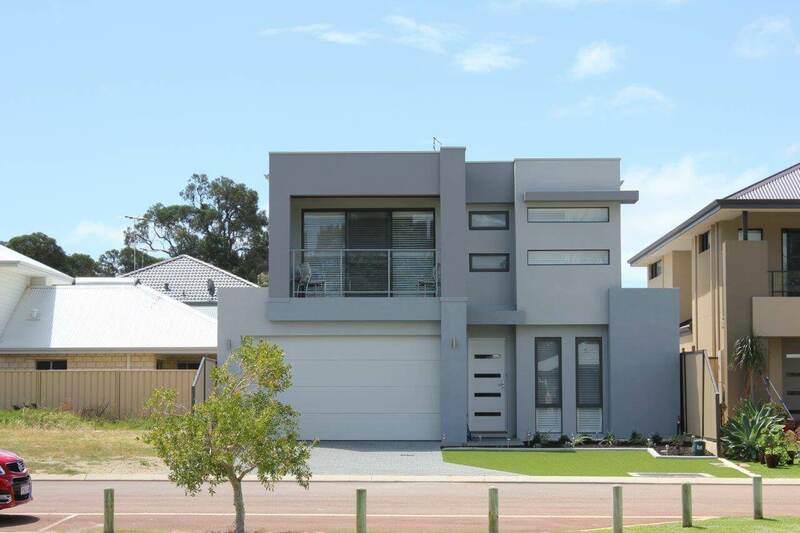 Yes… You can extend it by adding a ground floor, saving upto $100,000! This means we can LIFT your house and transform it into something new… or We can shift it on your lot allowing you to subdivide your land! 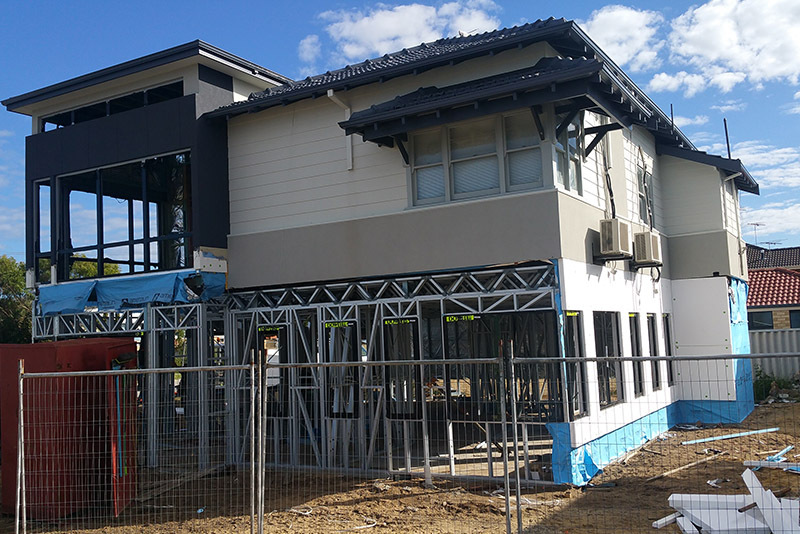 Get into your new double storey home in less than 8 months. Our builders design & build the home you deserve to a higher standard due to not having to work at heights and less complexity. GET A FREE QUOTE ON YOUR HOME! 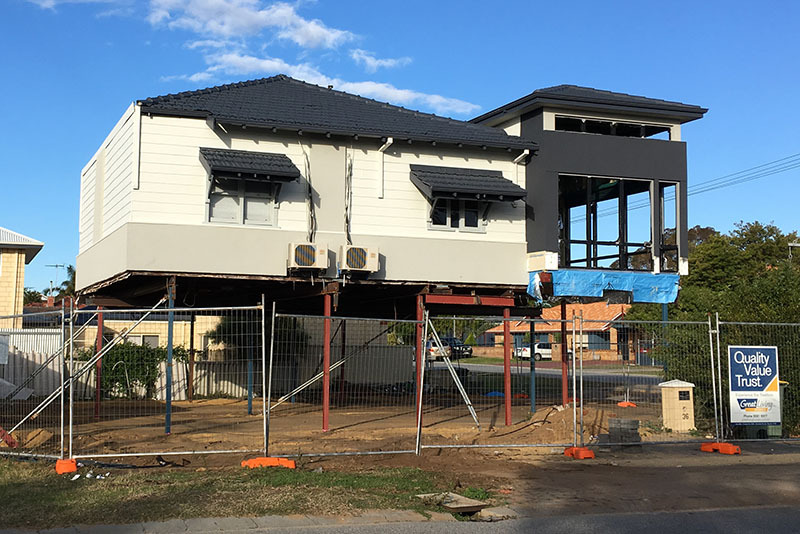 Retain the value of your existing home, Lift it, Shift it, Build under it! Building the upper floor at ground level eliminates the need for working at heights. Without scaffolding, cranes or hoists, the upper floor can be built faster and cheaper, together with greater safety and enables a better build quality. Using the J-Jacks, in just one day, the (externally completed) Upper Floor is lifted into place and supported. 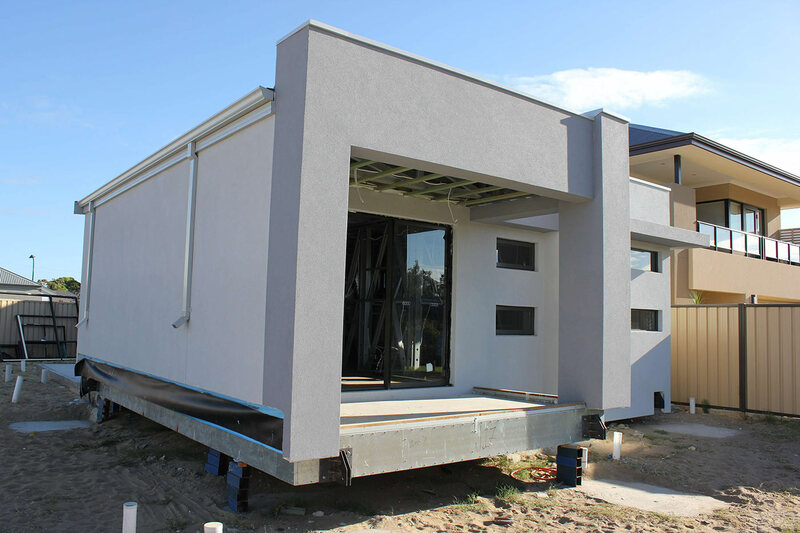 The structural integrity which is engineered into the Upper Floor to enable lifting means for a highly resilient build quality with excellent rigidity. Again, this produces time, cost and quality benefits compared with traditional methods. 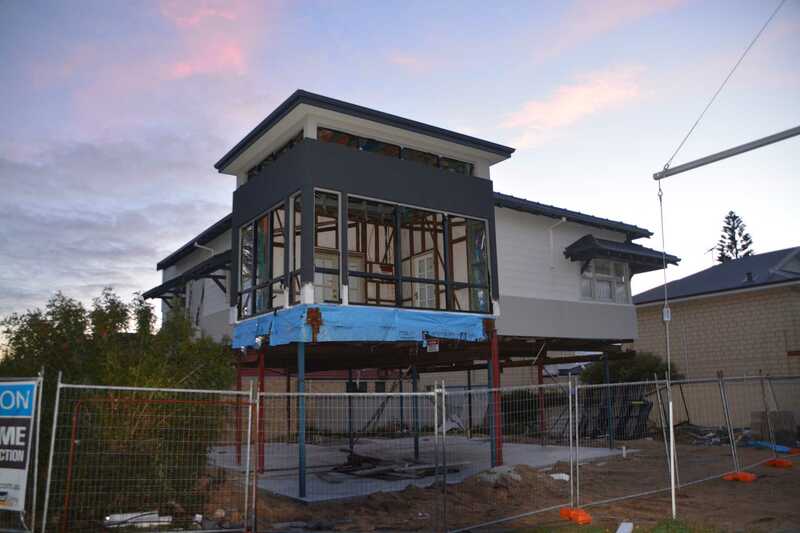 Once the upper floor has been supported, your builder can build your ground floor. Our temporary braces are rated to more than 140 kph winds and many tens of tonnes which means your builder can work safely in shade and out of the rain under the top floor. 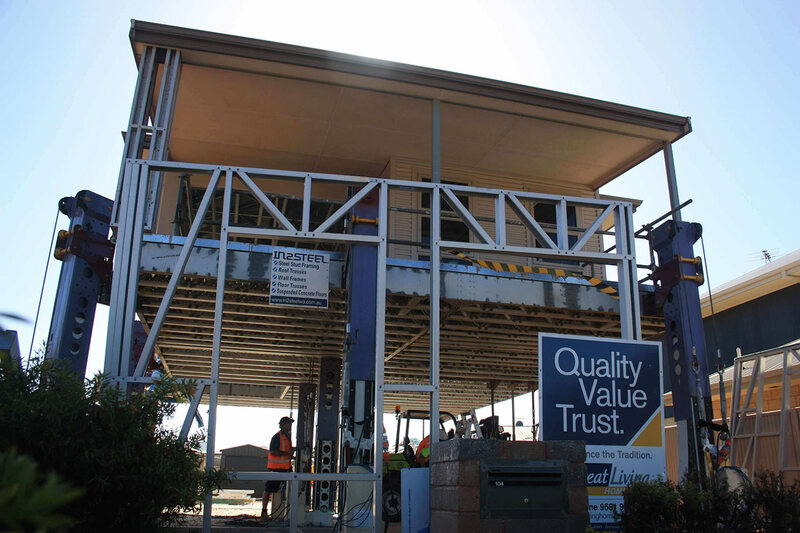 Just like a normal single storey build, trades are able to work on both the bottom and top floor at the same time, further saving you money & time. CSIRO approved & tested in cyclone strength winds.